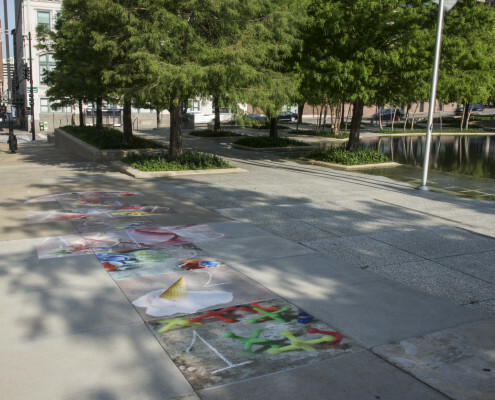 Hopscotch provides visitors to the Ilus Davis Park an opportunity to reflect on the role of parks in childhood. 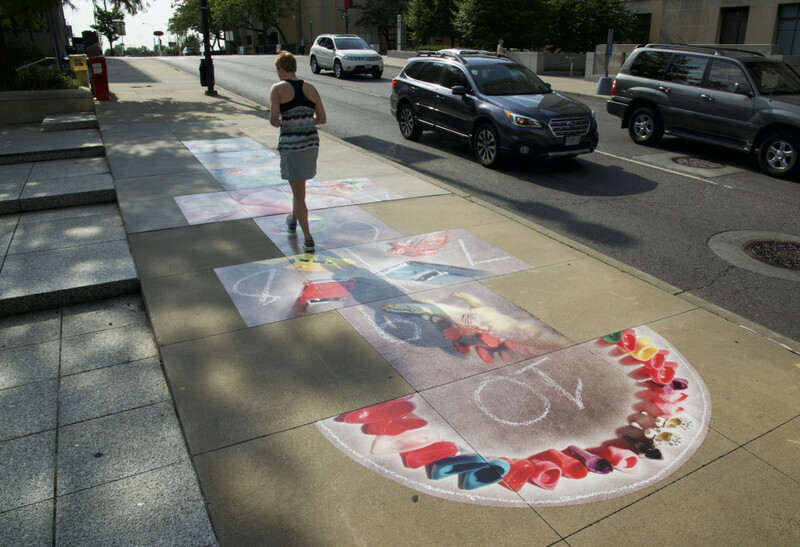 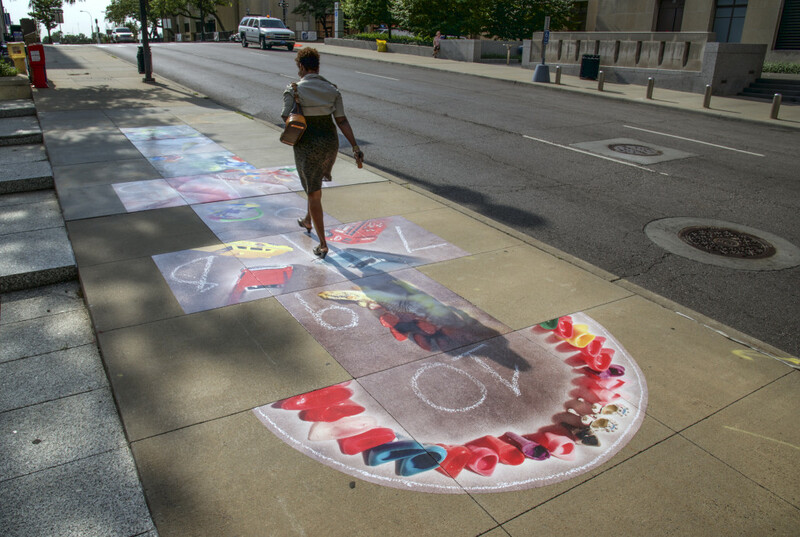 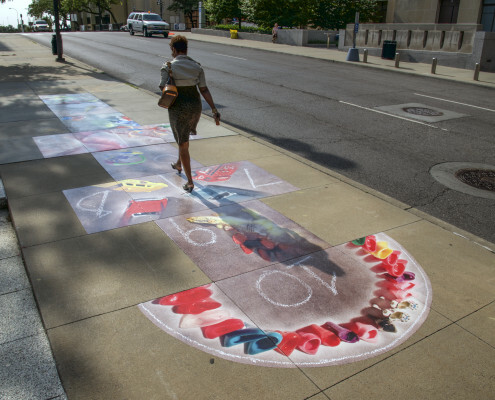 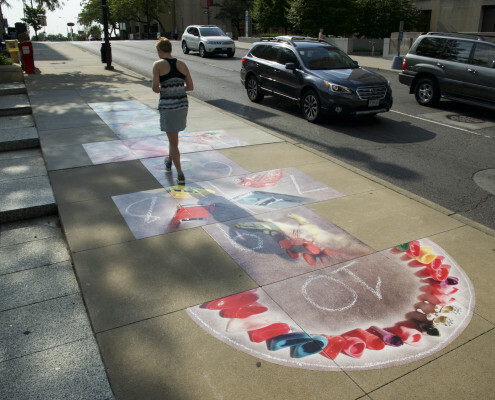 A larger-than-life rendition of the game grid filled with photographic imagery merges into the sidewalk surface and invites audience interaction and engagement. 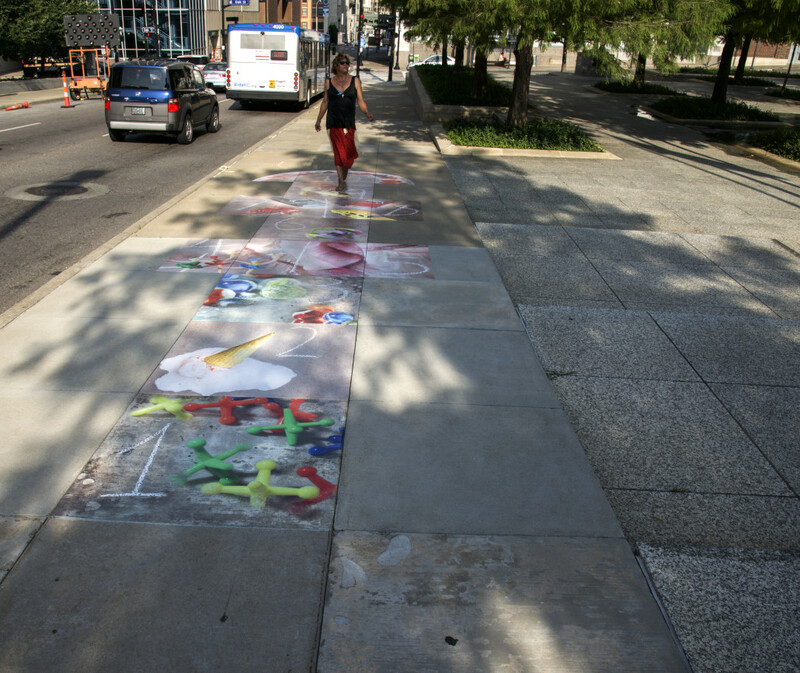 Familiar toys and even a spilled ice cream cone will appear on the park floor. 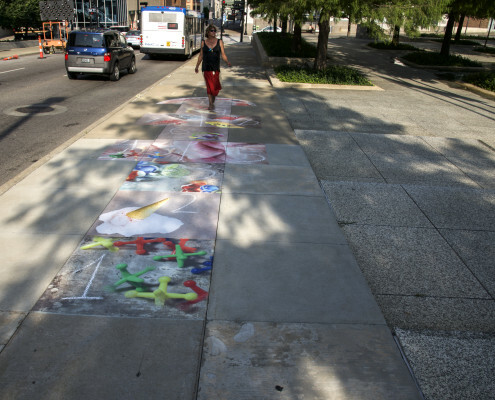 Visible from the north facing windows of City Hall, the installation aims to provide moments of surprise, playful delight, and conversation in a primarily professional business environment. Kati Toivanen grew up in Finland and received her Master of Fine Arts degree from the School of the Art Institute of Chicago. 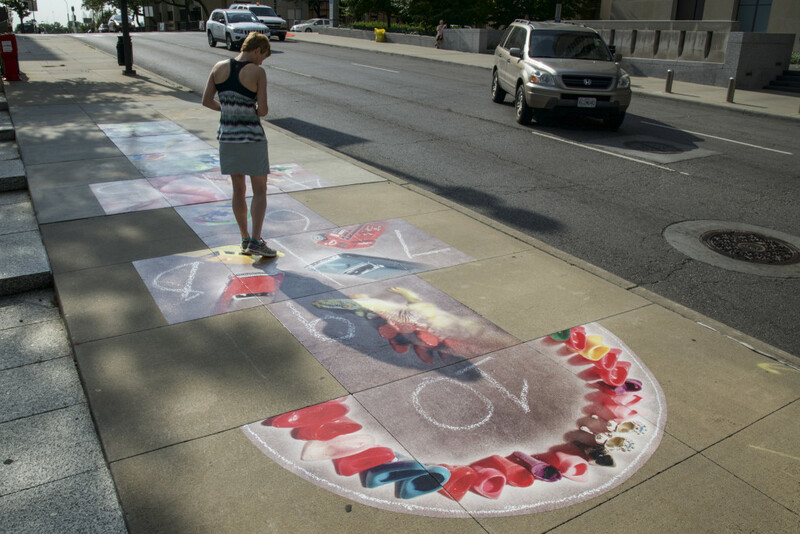 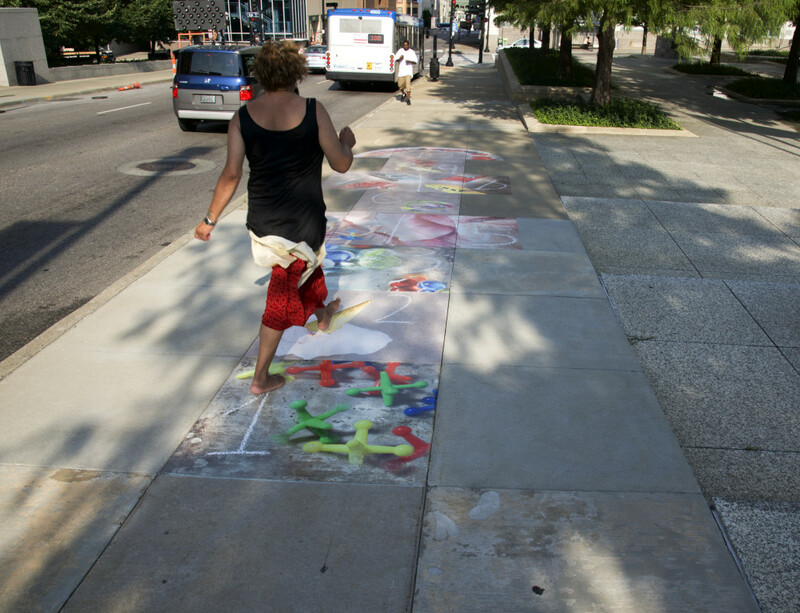 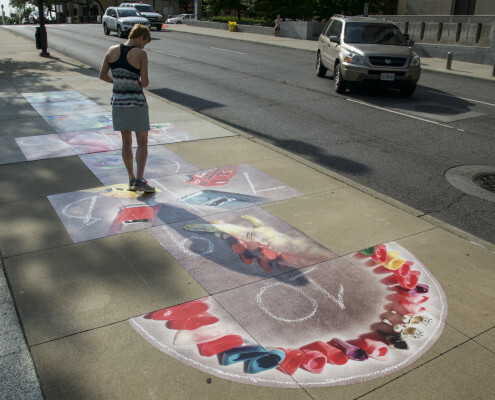 “Hopscotch” is her sixth public art project and currently another photographic installation “Treasure Hunt” is on view and presented as part of the “8th Annual Outdoor Downtown Sculpture Exhibition in Lawrence, KS. 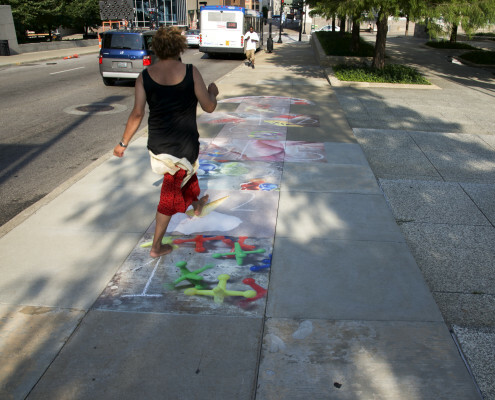 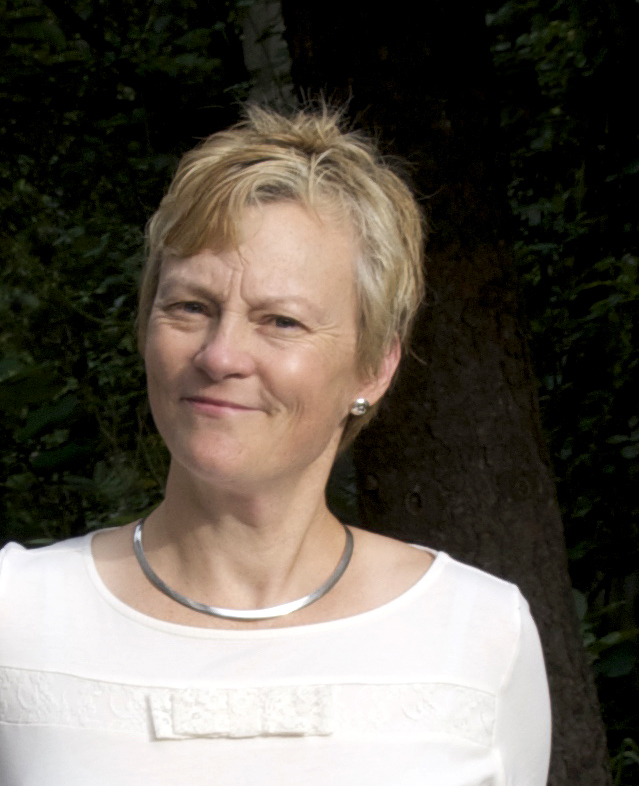 A 2001 Charlotte Street Award recipient and Professor of Studio Art, Toivanen currently also serves as the Associate Dean for Undergraduate Programs in the College of Arts & Sciences at UMKC.